Beluga Noble Russian Vodka has enlisted Summergate Fine Wine & Spirits as exclusive importer and distributor of the brand in Greater China. The Russian brand is the first vodka to join the Summergate Spirits of Independence portfolio. 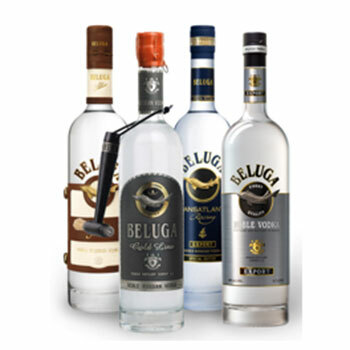 “The Beluga Vodka brand is the epitome of sleek style, modern elegance and luxury taste,” said Ian Ford, CEO. “Beluga is a perfect fit with Summergate’s Spirits of Independence – a portfolio of distinctive, iconoclastic spirits brands that stand apart from the usual suspects. “For many years, the entire Beluga team has been following the strictest standards in everything: we demand the impossible and we get it,” commented Ekaterina Zatekina, Beluga global brand director.